Cuts made to the recycling budget by Leicestershire County Council have left the Loughborough area feeling the pinch enough to make cuts to existing services. Councillors in the area have been forced to make choices about which services to keep and which to halt following a cut in the budget of over half a million pounds. Local government officials have made a series of decision regarding waste and recycling programs, including planned maintenance to the Coalville Recycling and Waste Disposal site many believe to be long overdue. The use of bottle banks was once an important part of the recycling options for waste disposal in Charnwood undertaken by the people of Loughborough, but the increase in curbside pick-up programs has resulted in these programs no longer being required. 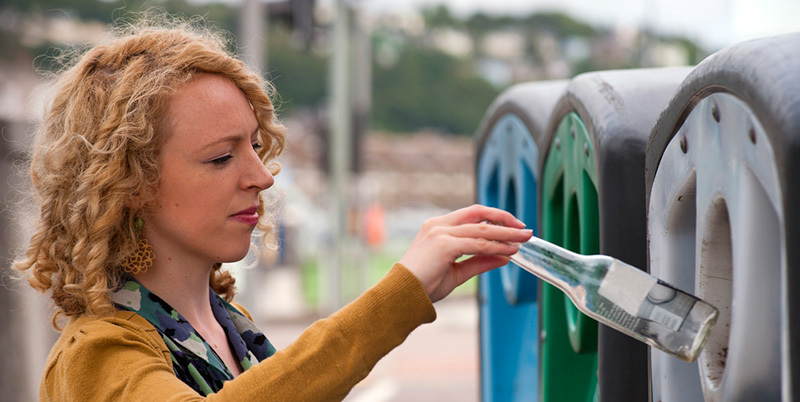 Bottle bank use was at its height at the turn of the 21st-century, but local programs have made the use of bottle banks obsolete. The decision to remove 79 bottle banks across the Loughborough region has been welcomed by locals, largely because these have become a dumping ground for a range of different waste products. Councillors stated, the bottle banks have been largely used by business owners refusing to make their own plans for disposing of glass recyclables. Loughborough’s curbside pick-up programs for recyclable materials has been a popular option for residents of the area for over a decade and limited the use of recycling centers. Local government will still operate more than 30 recycling sites across the region with no plans to limit the operation of charity and private recycling schemes. The remaining sites operated by local government will provide residents with an opportunity to recycle paper, glass, and textiles over the coming years. Plans to remove bottle banks and other recycling centres have been made to take place in August and September 2018. One of the most expensive issues facing the Loughborough region is keeping existing landfill and recycling centres maintained properly. In March 2018, the decision was made to close across the course of a single week to ensure the safety of local residents. Upgrading services and streamlining recycling options are difficult options to undertake, but necessary is every individual in the area is to have the opportunity to play their role in protecting the environment. Maintaining the high standards of the waste disposal in Loughborough and local recycling programs are important in creating a stronger community with its focus on the future good of the planet.